We empower app developers to create technology that addresses the unique needs of LGBTQ youth experiencing homelessness. 83.5% of youth experiencing homelessness use the Internet at least once per week. 62% own a mobile phone. In fact, many young people will forego basic necessities to maintain a mobile data connection as it provides access to the resources they need to survive and thrive. Recognizing this opportunity, True Colors United developed the True Access platform, which helps app developers create technology that addresses the unique needs of youth experiencing homelessness. Take advantage of the True Access API. By utilizing the True Access API, you can integrate data from True Colors United's True Inclusion Directory into new and existing applications. "I strongly believe that technology is a form of resistance, education, connection, and so much more. " The True Access mobile app serves as a model for what LGBTQ-inclusive technology could look like. 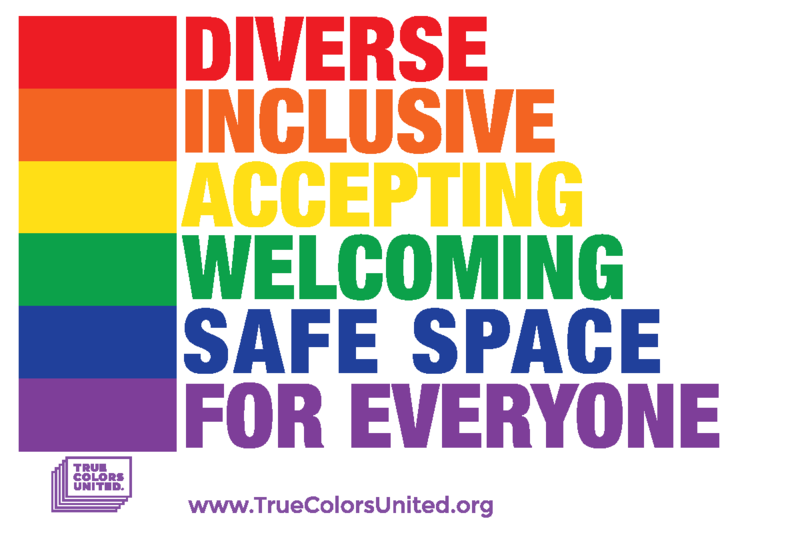 Based on True Colors United's True Colors Inclusion Directory, a national database of organizations that provide services to LGBTQ youth experiencing homelessness, our True Access app puts inclusion at the forefront. Service providers are asked to upload photos to their directory listings that demonstrate ways in which their organizations are affirming of LGBTQ young people, such as prominent safe space signage, gender-neutral restrooms, and LGBTQ-inclusive policies and paperwork. When service providers share photos of these "Inclusion Criteria," they receive corresponding badges on their listings. Based on these photos and badges, youth can make informed decisions about whether services are right for them before entering a space. "Technology is constantly evolving and we want to make sure LGBTQ-inclusion is always part of the conversation." Congratulations to the 2017 True Fellows!